For over 150 years Appleton embroidery yarns have embodied exceptional craftsmanship. Spun from pure new British wool, these 4-ply Tapestry Skeins are moth-proofed and dyed in subtly shifting shades of gorgeous color. For our Appleton Tapestry Wool Bundles, we put together groups of eight colors that move from dark to light. Use these Bundles for needlepoint and other types of embroidery work, or for colorwork in your knitting (along with a light worsted or DK weight yarn). 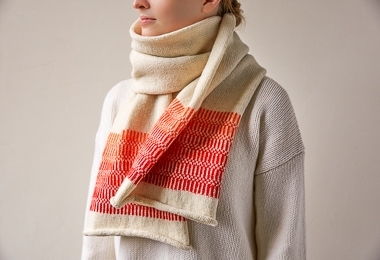 We did just that for our beautiful Colorwork Tube Scarf, where we used the Cherry Tomato bundle along with our Good Wool. 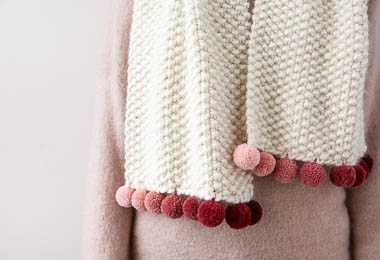 And another use... We used our Super Soft Merino, plus two bundles of Rose Garden for our adorable Pom Pom Trim Scarf!